This is one of the places along the beautiful Pembrokeshire coastline that I had to visit. A perfect summer’s day with clear blue sky, this was scene I just had to capture on canvas. 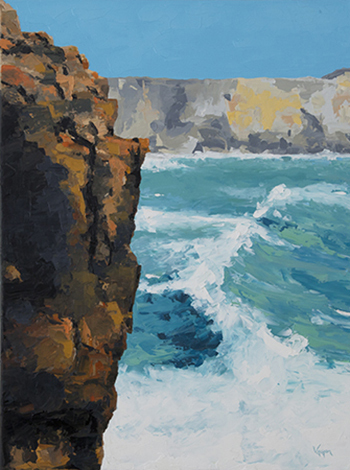 With a strong surf tumbling towards the shore, the blueness of the sea established the contrast between the distant shoreline and the rocky foreground. It was an enjoyable scene to paint.